I know what you are thinking, it’s Valentine’s Day and already she is posting about Saint Patrick’s Day. Well that’s the way it is in the blogging and retail world, you have to think ahead to stay ahead. Ha ha ha ha, I certainly am not ahead of the game as I’ve seen lots of St. Patty’s Day posts out there already and all over Pinterest. I don’t normally decorate or craft for this occasion but this year I decided to change things up. 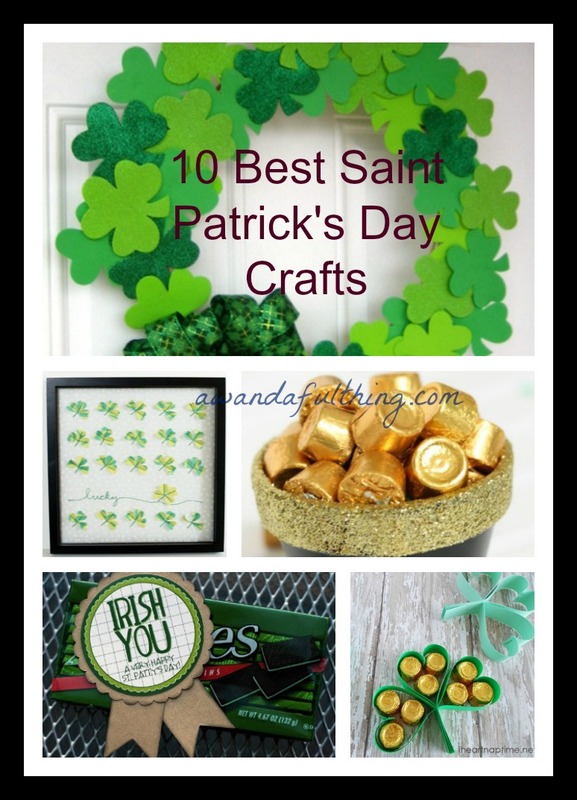 I’ve chosen 10 of the best Saint Patrick’s Day crafts I could find (that is my opinion) and now I just have to decide which one I will make – good thing is I have a month to decide. I really like the look of this and although it is made with fabric, I think you could make a similar version from scrapbooking papers. 2. St. Patrick’s Clover Treats – Here is an easy treat for a St. Patty’s Day gift for your kid’s classroom, neighbors, or coworker – check out the link, comes with full tutorial. 3. 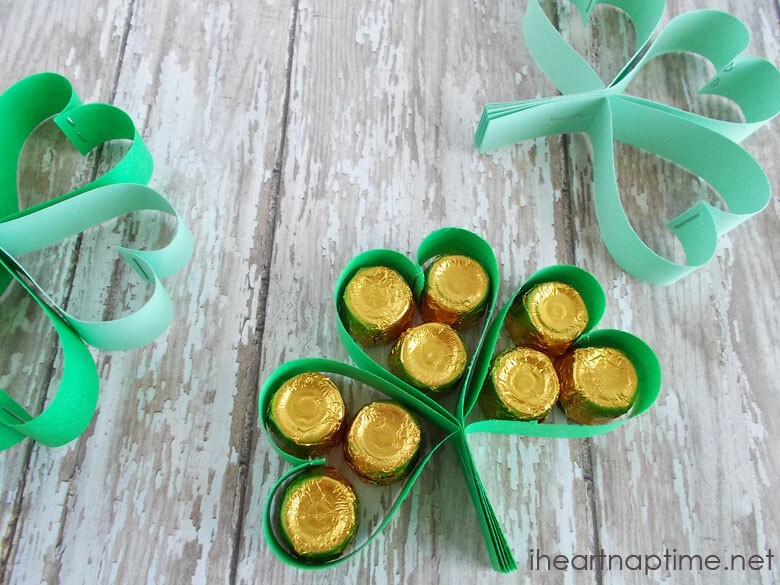 Pot of Gold – ok, I adore this one and it does appear super easy to make, not too many supplies needed. 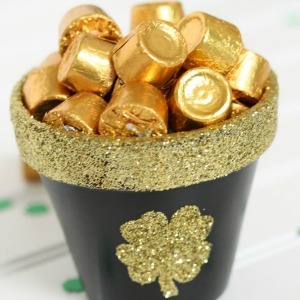 Here’s what you need…mini terracotta pot, black acrylic paint, a sponge brush, mod podge, gold glitter, shamrock sticker or vinyl cut out and rolo candies. Get full tutorial by clicking the link above. 4. If you can crochet this next one from Sarahndipities is for you – just plain adorable is all I can say. 5. 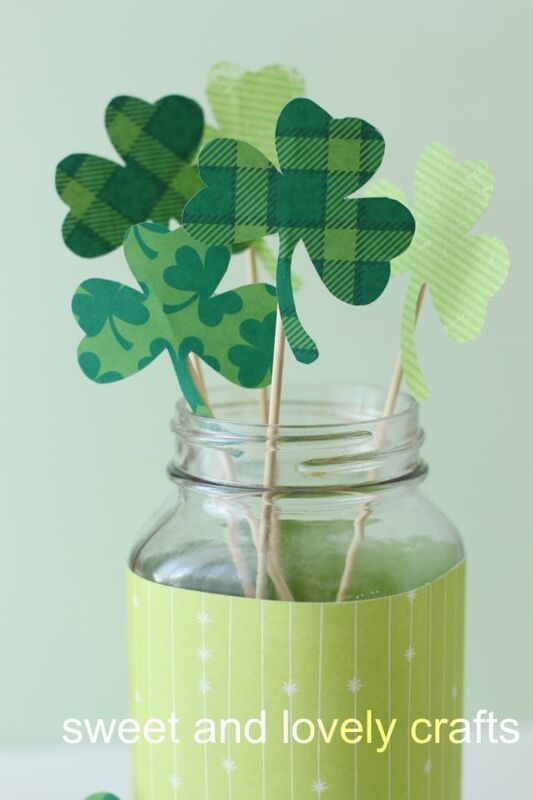 Shamrock Bouquet – show some love to St. Patty’s Day by making this simple easy shamrock bouquet. This craft is from dollar store crafts – it’s inexpensive, easy and looks terrific in a mason jar. 7. 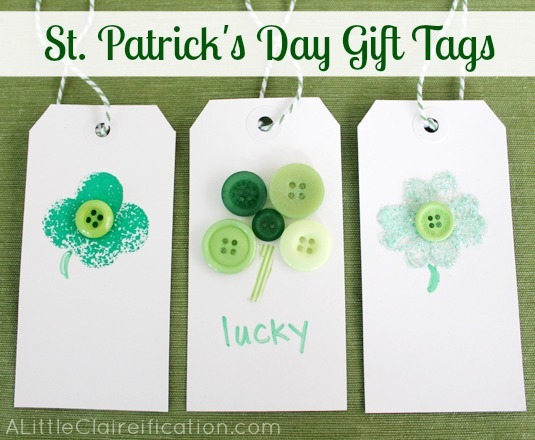 Three ways to make St. Patrick’s Day gift tags, pop over to alittleclaireification to find out how. 8. 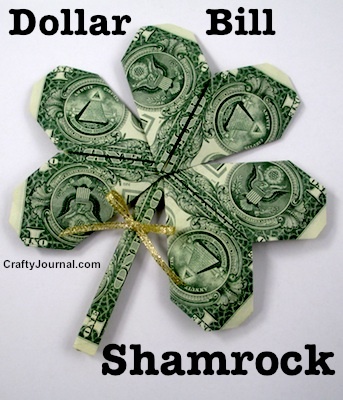 If you are giving a gift of money this St. Patrick’s Day, here is a unique way to fold the money. Check out the full instructions here. 9. 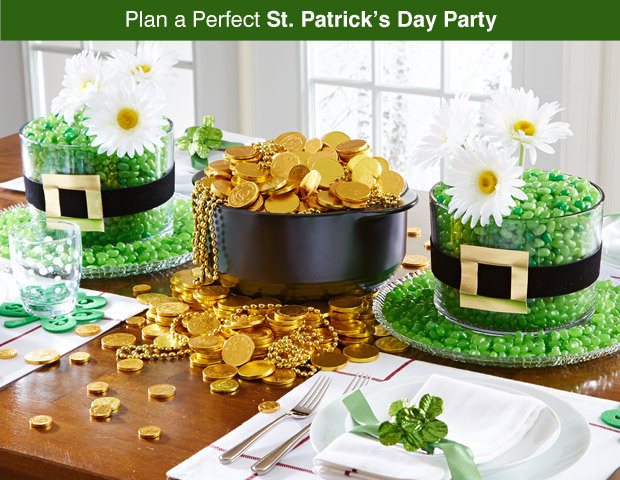 Saint Patrick’s Day Tablescape – I saw this on the Pampered Chef website – it looks easy yet elegant, does seem like an awful lot of jelly beans though. 10. 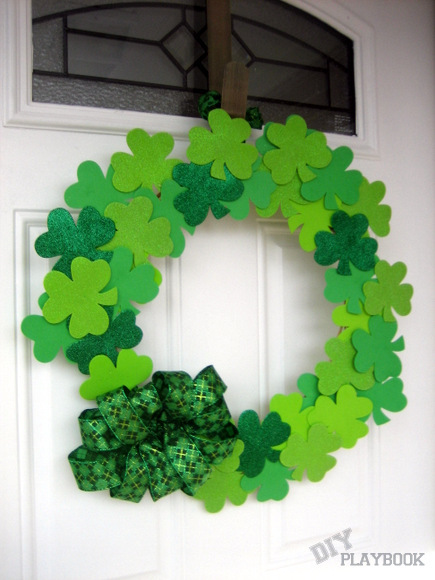 Last but not least, a St. Patrick’s Day wreath, check out the how to here. I’m loving this and all supplies from the Dollar Store. 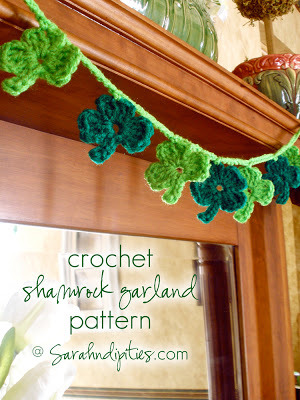 I’m thinking I should have called this post – my favorite shamrock crafts. I couldn’t help myself I just found all of these so adorable and I know they are all doable. If you make one, please leave me a comment, I want to know which one you liked the best! 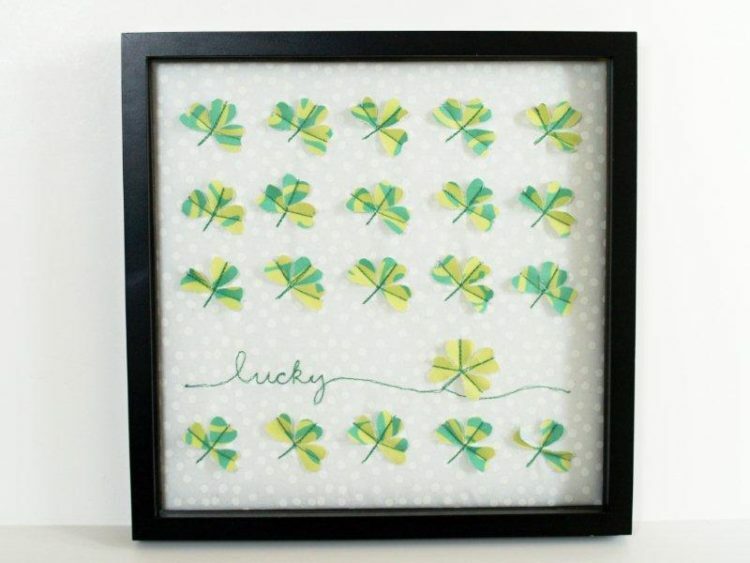 St. Patrick’s Day crafts – A Wandaful Thing! 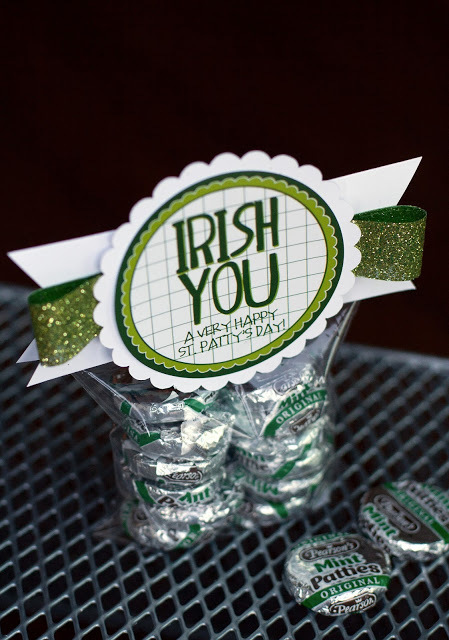 This entry was posted in DIY, Make and tagged 10, best, bouquet, candy, challenge, cheap, clover, Crafts, creativity, Decorate, DIY, easy, fun, gift, ideas, inexpensive, irish, living, make, mason jar, mint, recycle, repurpose, reuse, saint patrick's day, shamrock, simple. Bookmark the permalink. They are all cute, but my favourite is #10 the wreath! Also like #5. Get on it! !